What follows is a very different Best Albums List. One with an honest, loving approach and the promise of offering you more sounds you might have missed. Boy, do I ever love music ... but these lists are so darn difficult to put together. Categorizing and ordering is fun for an audiophile brain but it's also a little nerve-wracking for the Holden Caulfield in me. 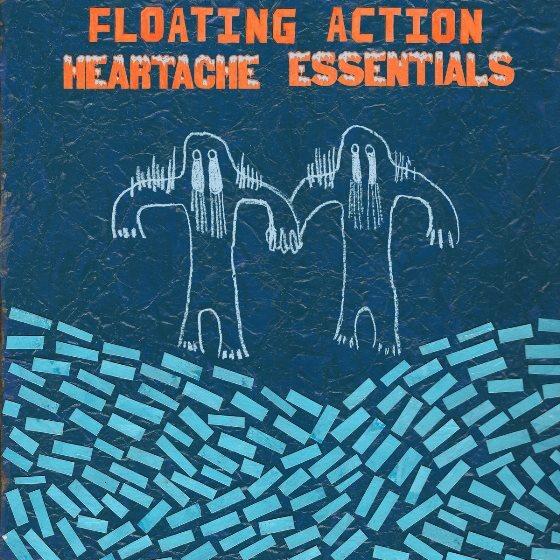 I'll start with Floating Action because I spent more time here than with any other album in 2018. And rightfully so. Heartache Essentials dances the fine line between dissonance discharge, soul-searching indie rock and traditional songwriter craft. 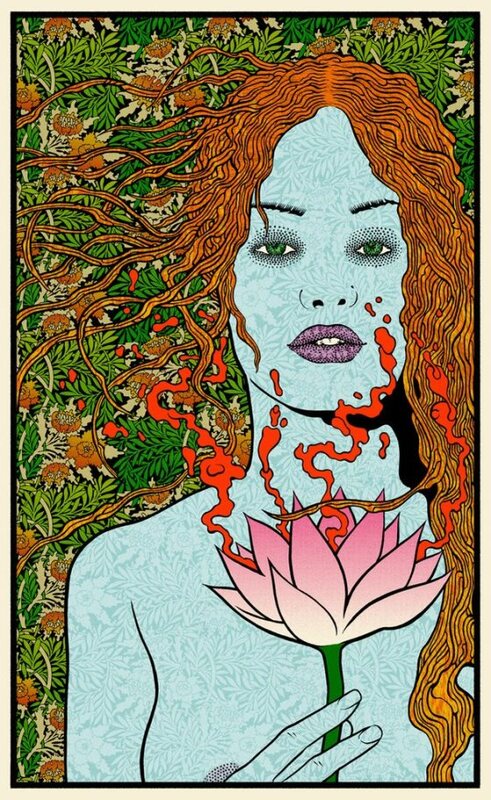 The man behind the album is Black Mountain, North Carolina's Seth Kauffman who wrote and recorded the songs himself before forming a band (Michael Libramento, Mark Capon, Josh Carpenter, Evan Martin and Brian Landrum) to take the show on the road. And what music they've made together! Heartache Essentials is an essential 2018 album and one that has all kinds of wit, emotion and energy to share. I cannot wait to hear what comes next! Every friend I have introduced Philadelphia's Hop Along to has been thoroughly impressed. 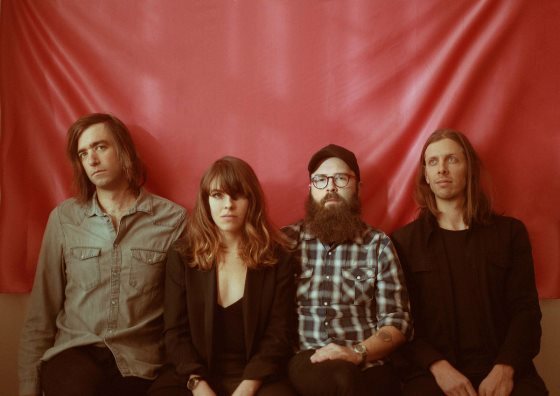 An Americana-influenced indie rock band with some serious rock leanings, the band cast a wiry, defiant silhouette in the world of contemporary music. Singer Frances Quinlan reads some lyrics softly, she sings at other times with a fluttering voice and particular intervals she simply howls. I highly recommend their album Bark your Head Off, Dog. On the record Quinlan is joined by fellow guitarist Joe Reinhart, Mark Quinlan (drums) and Tyler Long (bass). Eye-opening, heart skipping-a-beat stuff here. So good. San Francisco's Tim Cohen is a silly, beautiful man. 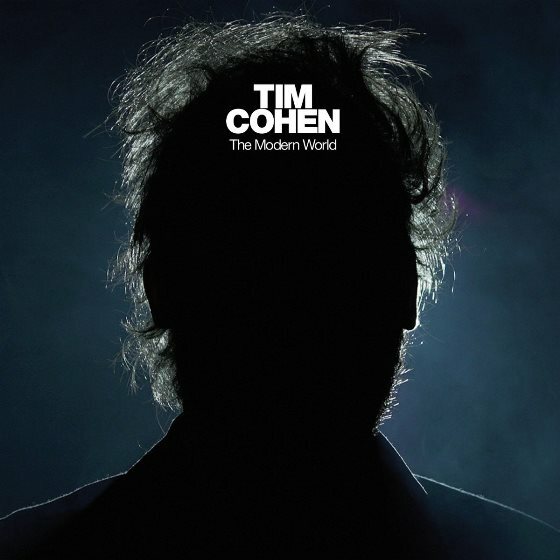 And this record, Modern World - is a damn near perfect snapshot of his inanities. I got locked into this album like a maniac for about a month. This isn't for everyone but I found it delightful cerebral fare. Cohen isn't for the timid or those looking for easily digestible material. In his own words: "Tim Cohen refuses to die. He simply subsists on fleeting ideas. As if trapped inside a virtual insect farm, he catches fluttering melodies in his butterfly net of a mind, digesting them and spitting them out in verse. It’s not that he wants to, necessarily. His obsession with making music as a means to turn nothing into something has become something of a need. This need has driven him to release close to 30 full length records over the past decade." Parquet Courts has no official website. They have garbage branding.. they spell their name differently on albums - and through social media and otherwise make it difficult to find, follow and love - and yet they prevail. Perhaps the greatest thing that can be said of a gifted rock band is that they don't sell out. Zero chance of that here. Wide Awake! is a dynamo of action, vitality and in-your-face humor. What it lacks in subtlety it makes up for in enthusiasm. This fantastic band never ceases to amaze and still has me scratching my head. For fans of big, powerful deliveries and top notch vocal execution, we give you Sister Sparrow. The modern soul outfit out of Brooklyn - fronted by Arleigh Kincheloe, offers fans a bridge to soul music's glorious past. Sister Sparrow is Kincheloe, Jackson Kincheloe, Josh Myers, Dan Boyden, Brian Graham and Phil Rodriguez. Produced by Carter Matschullat the brass-fueled Gold album was one of the big winners for me this year. What an absolute joy when when of you favorite musicians and singers produces a best-in-career record that shines! Daphne Lee Martin has been an arts warrior for as long as I can remember but when the end of 2017 arrived, it came with a need to clear the creative decks. The Connecticut songstress prevails in a huge way with the remarkable Scared Fearless - an album that demonstrates the depths of her strength and fortitude. Tracks here range from grandiose celebrations of spirit and conversational soul-searching through song. Daphne's vocals... Just wow. But what really came through on this one was her voice. Along with DLM (Vocals, Guitar and piano), Scared Fearless features notable contributions from Isaac Young, MorganEve Swain, Matt Slobogan, Jim Carpenter, Thor Jensen, Andrew Sovine, Kieran Ledwidge, John Faraone, Eric Lichter and Jonah Tolchin. This little record gets better and better with each listen and I really struggled to determine which song to share here. You know how some things are simply undeniable? Well Saintseneca is like that for me this year. Every time I heard a great track and I looked up it seemed it was like Zac Little's indie band threading a story into my busy life. That's discovery and that's winning. The Columbus folk-punk band (their label, not necessarily mine - but I wont disagree) released their fourth record, Pillar of Na via ANTI records. It was a game-changer for me this year. The songs are reflective, thoughtful and jarring pokes at a reality that needs to be prodded back into balance. The northeast hasn't historically been known for it's cowboys but it does have a strong tradition of celebrating blue collar music with big heart. Daniel Miller is the right man for right now. His new album, Dusk, leaps off the electronic page. Some of that is due to his writing and instrumentation but for me it's the vocal delivery and that country-pacing that takes the cake. On Dusk, Miller nods to country's past and uses some of its classic themes but he finds a way to bring some of the North into song. On the brand new video for "Your Man," Miller is joined by fellow northeast all-star Ward Hayden (of Ward Hayden & The Outliers) to tell the timeless story of a broken heart. Album is available via Daniel's website. Sweden's greatest output isn't herring, super-expensive speeding tickets or forest rakes - it's First Aid Kit and the duo keep getting better and better. Hailing from Stockholm, Sisters Johanna & Klara Söderberg have taken the US music model and have improved it. On Ruins their amazing voices are wedded with superior instrumentation including lap steel which was apparently created for their voices. (Who knew?) A brilliant record. Hats off to producer Tucker Martine. Ruins is in hard rotation right now at my place and the cats love it even more than I do. And everyone knows cats know everything. 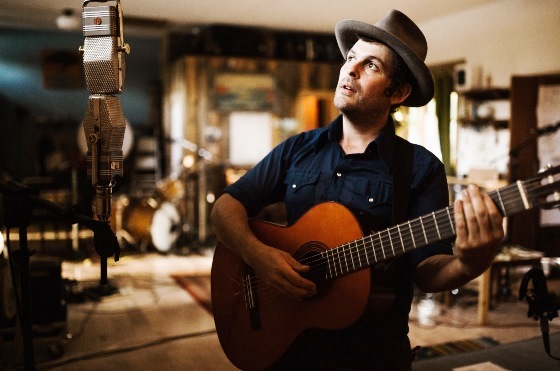 I'm fairly certain Boulder, CO's Gregory Alan Isakov is the only native South African I'm currently listening to. Over the course of the last half decade, I've found myself seeking out his songs more and more to make sense of the world around me. There's a commonality and wisdom to his songs and even the most quiet, sensitive tracks can sound like an anthem for the soul. Isakov's newest release Evening Machines kept rising on my 2018 list like a high flood mark. His use of classic instrumentation and the timeless, personable nature of the lyrics make this one of my favorites of 2018. Up front and Seen. For every rule, there's an exception. 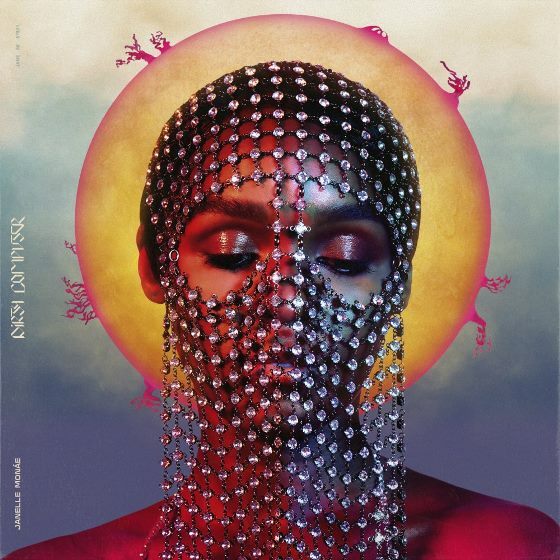 Janelle Monáe's superstar record is my mainstream guilty pleasure. But this is no stretch. She does nearly everything right on this fusion record by embracing several very different worlds of art, style and songwriting. Dirty Computer features appearances and collaborations with Brian Wilson, Grimes, Pharrel Williams and Zoe Kravitz among others. 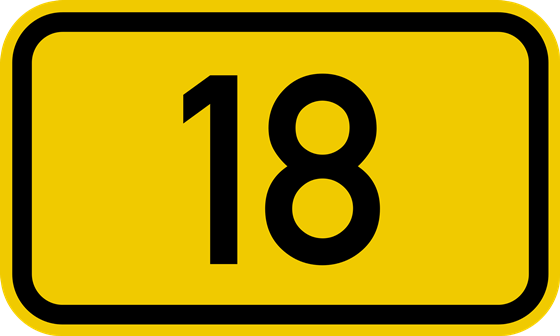 Any chances taken by the artists resulted in rewards for listeners. Brooklyn's Wild Pink has perfectly captured pop angst on their latest album Yolk In The Fur. It's a collection of songs stitched together to tell the story of growing up. Upon each listen, I found myself transported to a different place in memory. Wild Pink's greatest skill is taking you to places they have never been. Selecting a song for this piece was really difficult since the tracks tell such different stories. 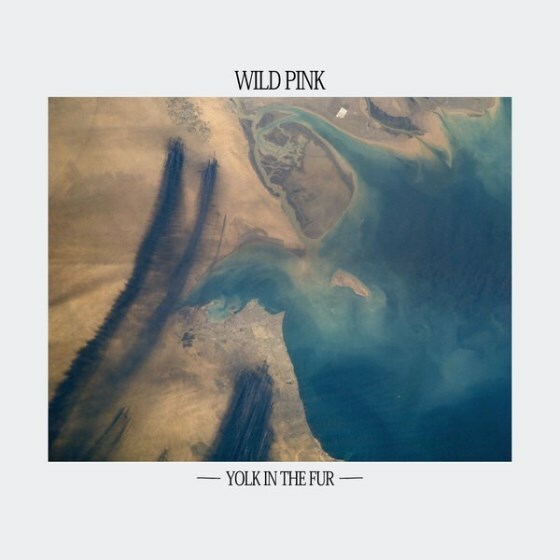 Triumphant at nearly every turn on this album, Wild Pink are quietly amazing and I hope to see them live at some point in 2019. One of the most hopeful acts from this list. My god MC Taylor's voice is perfect. And this is a celebration of Hiss Golden Messenger's sensational 2018 album Virgo Fool - a record that I hope will make this man a household name in 2019. The record celebrates traditional songcraft and styles but has some big league swagger. 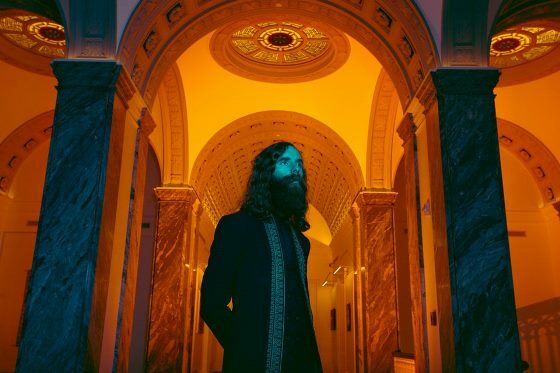 Taylor, who hails from Durham< NC, has an otherworldly ability to tell stories that evoke responses from audiences have won him a lot of hearts. He's a musician's musician and typically live shows see him sitting down with big names eager to play with Taylor. Shows for Hiss Golden Messenger are already beginning to sell out through summer. This is definitely someone you need to know. Talk about fantastic surprises! 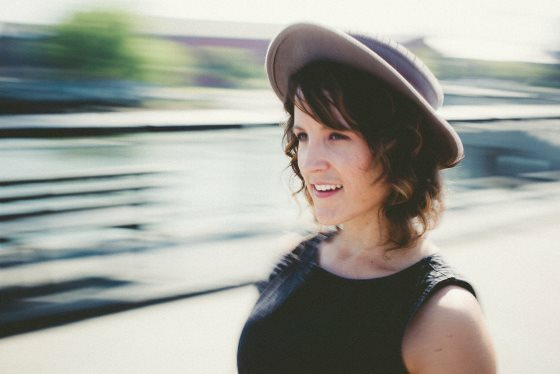 I stumbled on to the music of Nashville's Lauren Balthrop one beautiful day and ended up listening to her music all fall and now into the winter. Balthrop's debut album This Time Around is a series of beautiful stories brought to life through her endearing delivery. Featuring some incredible players, the album was recorded and produced by Josh Kaufman who accompanies Lauren on a number of the songs as well. I hope we see more of Ms. Balthrop in 2019. Fingers crossed! 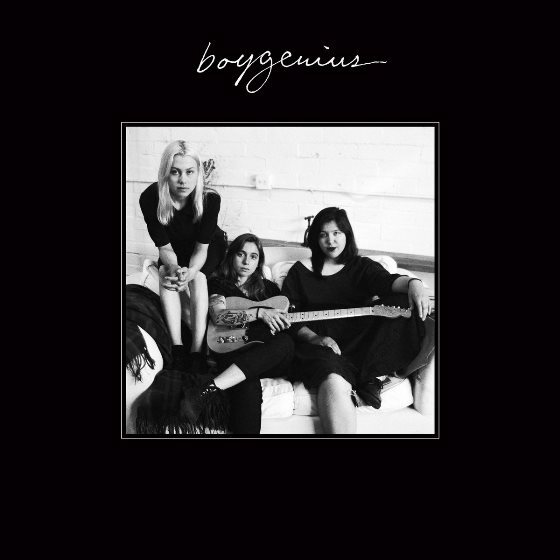 boygenius is Julien Baker, Phoebe Bridgers, and Lucy Dacus - an allstar trio who released a debut EP this year to a stunned public. The album is soothing, sad and brilliant all at once and you'll find yourself holding your breath between notes as you wait for the echoes of Julien Baker's voice to gently dismiss the silence. Quietly amazing. This record is chillingly good. A contender for Album of the Year. Michael Flynn (Slow Runner) returns in a huge way on his second solo effort. Pretend Like Album credits include Ron Wiltrout, Nathan Koci, Summer Flynn and include Flynn's Slow Runner collaborator Josh Kaler. A tip of the hat to the Mastering on this one to Dave Harris. Flynn's turn of phrase is largely unequaled in music. In the album opener he describes the hole she left in his heart as "the size of greater Charlotte." Professional Network makes light of the robot-like march to work for someone else's profit all the while surrendering our anonymity to social networks. In one memorable exchange, Flynn's protagonist is buttering up the subject of his desires; "God, I love to see you with your Church clothes on." This is must-hear, best-of-career-level stuff. Bravo! 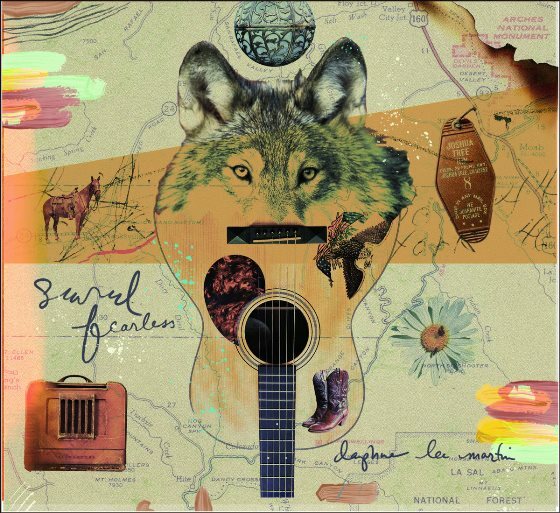 August saw the full-length debut, Window Flowers, from Nashville's Liz Cooper & The Stampede. It's been a breakthrough for their already-advancing career. I like a whole lot of other people am catching on quick. The band has the same glow as Seventies radio stars but their feel and delivery are alt-country. Cooper is a convincing starlet. She'll have to get used to it as the band embarks on their most sweeping shows of their lives in 2019. This one's special! Some Final Thoughts: 2017 was easy for me (my favorite records were all by King Gizzard and The Lizard Wizard (five wildly creative full-length records dropped in twelve months and not a bad one among them). 2018 was a bit more like happy mining. How to Find Great Music: The discovery process has increasingly become digital and plays out a bit like panning for loss-less audio perfection. The big challenge for all of is we all must strive to find our music through different sources (do not be spoon fed!) Read blogs. Take recommendations. Look under rocks. Look next door. Go to shows where you don't know the bands. Find time to listen. Be diligent.